Wiley’s iconic Dummies brand, known for its approachable how-to guides and recognizable yellow and black design, is celebrating its 25th anniversary this year by getting a new, modern look — both in print and online. The rebranding will officially launch in May 2016. 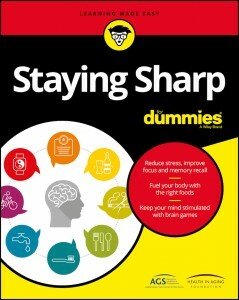 The first Dummies how-to book was published in 1991, and the brand now boasts 1,800 titles and 250 million books in print. But print books are no longer at the core of the brand. “We are now in an environment where people are not walking into a bookstore to solve their ‘how-to’ problems,” David Palmer, Marketing Director at Wiley, told Publishing Perspectives. Instead, more people are searching the internet for answers. What’s the best wine to pair with lamb? How do I set up a wi-fi network at home? When is the best time to plant a vegetable garden? The role of online search is increasingly important for digital platforms like dummies.com, which hosts over 60,000 how-to articles and acts as the online gateway between consumers and the Dummies brand. To that end, Wiley has done extensive search engine optimization (SEO) work to make dummies.com discoverable. The site was chosen as a finalist in the Best Overall SEO Initiative category at the Landy Awards, which recognizes online search initiatives within the digital marketing community. Under the Dummies brand, Wiley is also able to offer content marketing services and custom content to leading brands around the world. Brand partnerships included titles like: Happiness for Dummies, in partnership with Coca-Cola; and Connecting People Using Google for Dummies, a guide to promote Google’s AdWords platform. This ongoing content marketing work earned Dummies a spot on Kapost’s top 50 B2B marketing brands last year. 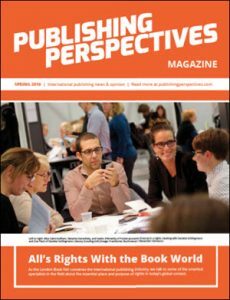 A version of this story appears in Publishing Perspectives’ Spring 2016 magazine. If you weren’t with us at London Book Fair to pick it up, download it here free of charge as a PDF. And be sure to see our coverage of a “Tales of Two Markets” journalists’ roundtable at Olympia London, plus our story on AmazonCrossing’s fast expansion in translation and news of Spanish-language rights in change, as well as Scandinavian literature on the world stage: it’s not all crime novels now.